Unfortunately, gravity always wins. That's why you're reading this in the first place, right? There are really three options to fight gravity when it comes to breast surgery. Each option is PERFECT for the right person. It just depends on your current breasts and your goals. 1. Textured Breast Implants can grip and "velcro" in place. If you don't have much breast tissue and you are exchanging your implants for a higher, rounder and perkier look, textured implants a good option. 2. Breast Lift/Reduction with Internal Bra is a perfect option for women who don't want implants and who prefer a more natural look. This will lift the breast and hold it in place with a suture mesh that creates a hammock (a bra on the inside!) to support the breast. 3. Breast Lift/Reduction with Implants is the best way to trade drooping breasts for fuller, rounder breasts. In some cases we ALSO will use an internal bra to support the implant! 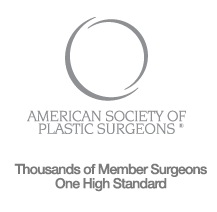 Fighting gravity isn't easy and it takes a thoughtful approach by your plastic surgeon! The answer is not "we'll just put in a bigger implant" so beware of doctors who offer that as an option.